If you’re wondering if you need a dog bite attorney, the short answer is that you probably do, or that you could benefit from having a consultation with one at the very least. There are more than 4.5 million attacks reported in the US every year, and an unknown number are never mentioned to the authorities. It’s a very serious problem across the country, and countless victims suffer from their injuries and shoulder the burden of the expenses that are accrued. This simply is unfair, and it should not happen. This is exactly why Philadelphia’s laws were set up the way they were; to protect victims. 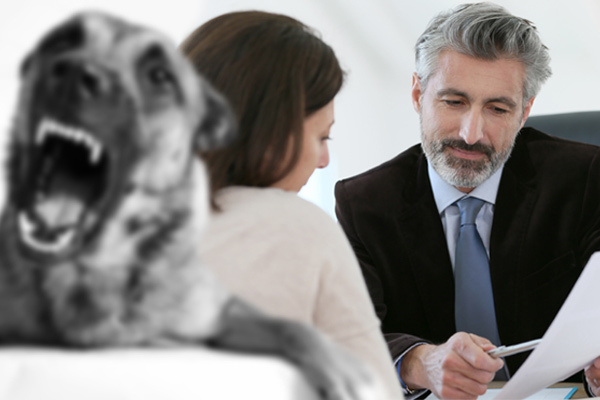 If you question whether you need a dog bite attorney, you should talk to one, but this page will help lay out some examples of times when it’s most important to retain a competent lawyer, in order to ensure you receive fair dog bite compensation for your losses. In Philadelphia, you’re almost certainly entitled to compensation for your medical bills, but dog bite settlement awards from insurance companies don’t always include everything you should receive. The laws here also provide greater dog bite settlement awards if your injuries are considered severe. This could mean you have a permanent scar, needed multiple sutures, broke bones, or have some other sort of permanent disability or disfigurement as a result of the attack. Dog bite compensation also increases if the animal has a history of aggression and has been labeled as a “dangerous dog” by the state. Obtaining fair dog bite compensation so you can rebuild your life is not always easy. You may face numerous obstacles as you struggle with insurance companies or try work with the animal’s owner. Fighting to be treated fairly, after you’ve already been hurt, should not be your responsibility. Philadelphia and the state of Pennsylvania recognize this, which is why they allow seriously injured victims to recover their legal fees in dog bite settlement awards. It’s also why each dog bite attorney listed on this site will gladly wait to collect a fee for their time, until you have a successful case outcome. If you or your child was injured by someone’s pet, you owe it to yourself to take advantage of a free consultation, so you can make the best possible decision about your future. Get in touch with any of the professionals listed on this site and schedule your no-obligation case evaluation today.